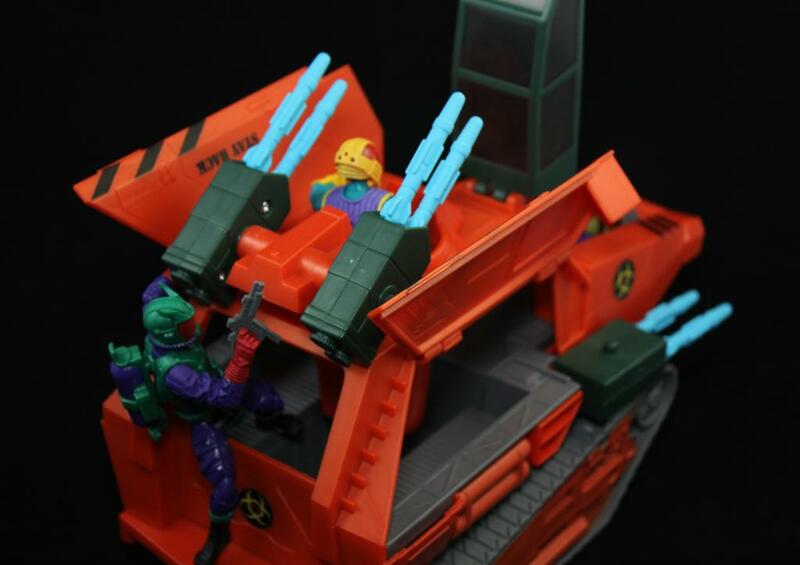 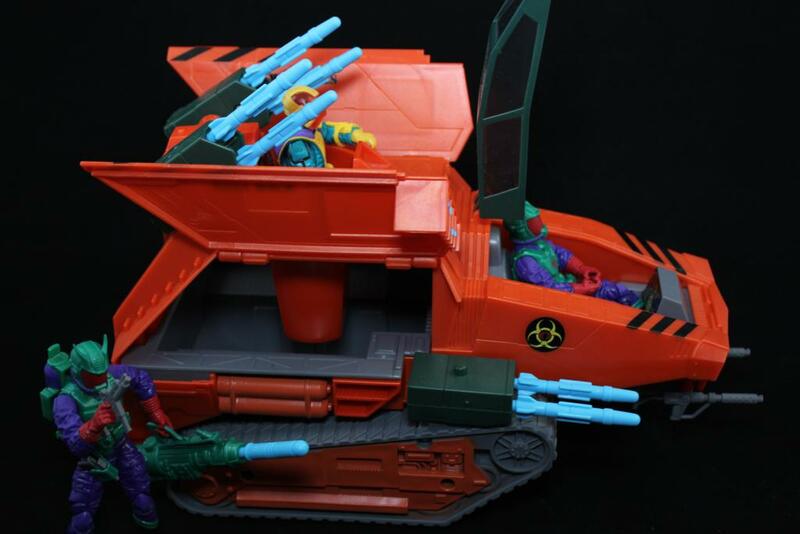 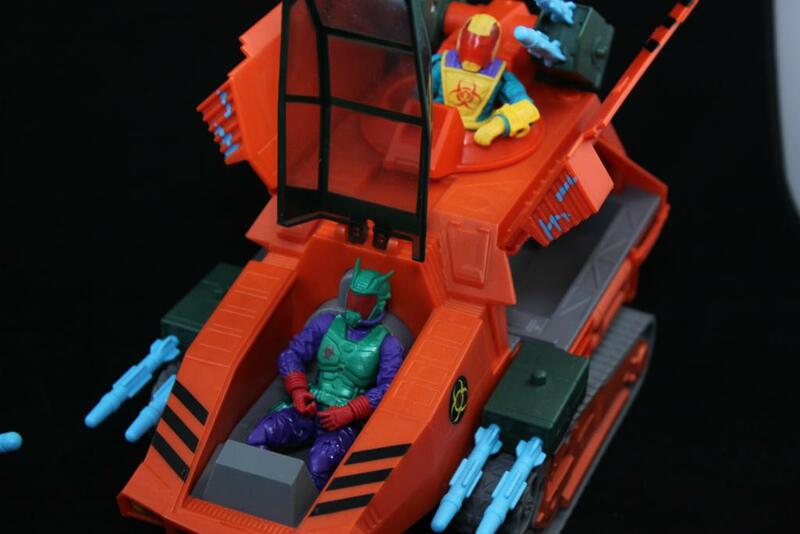 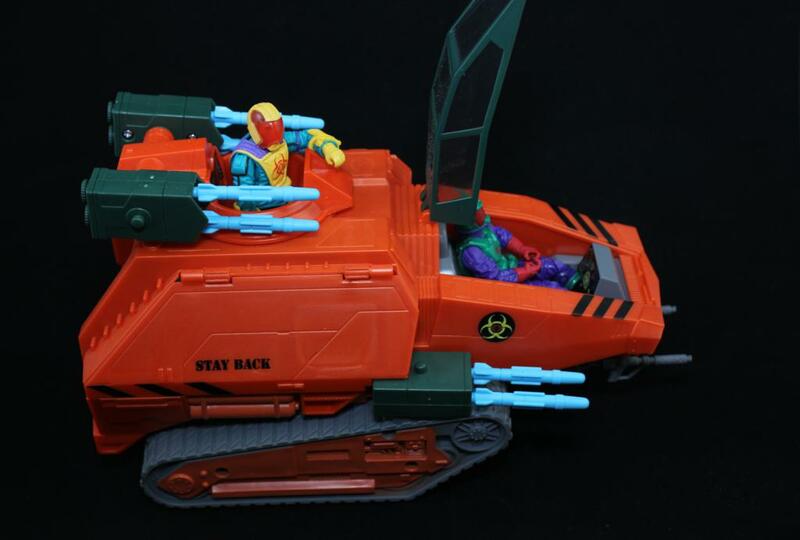 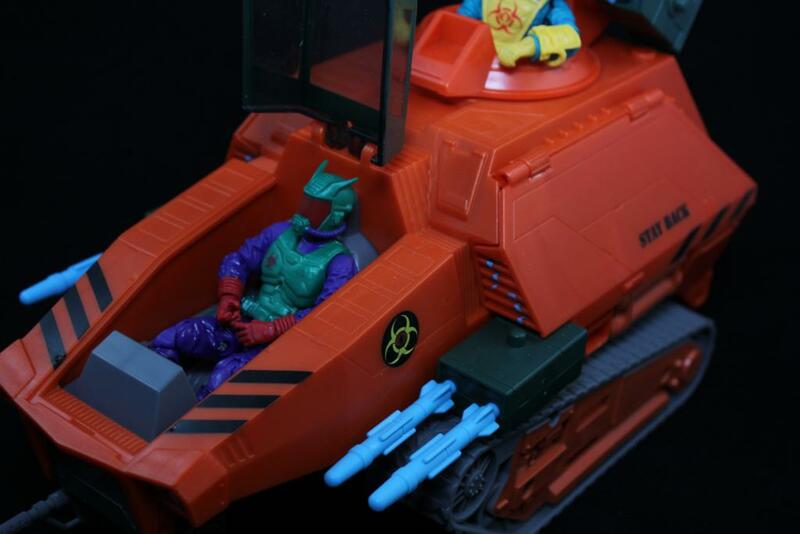 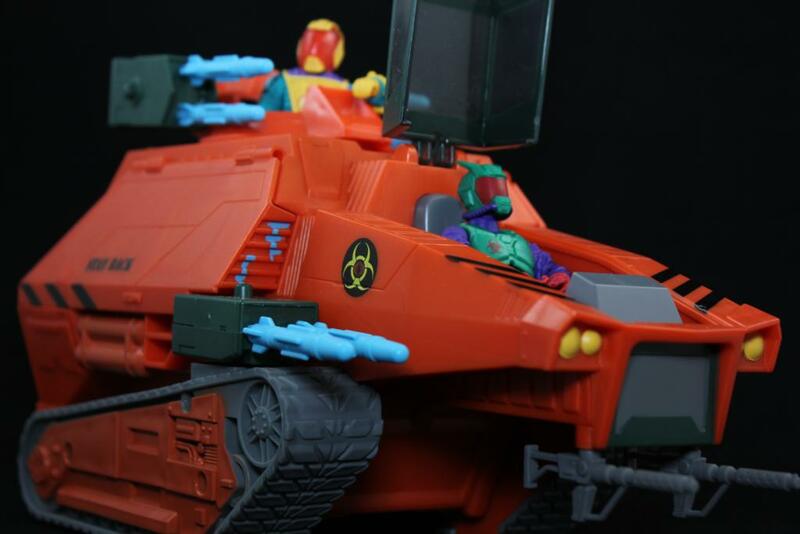 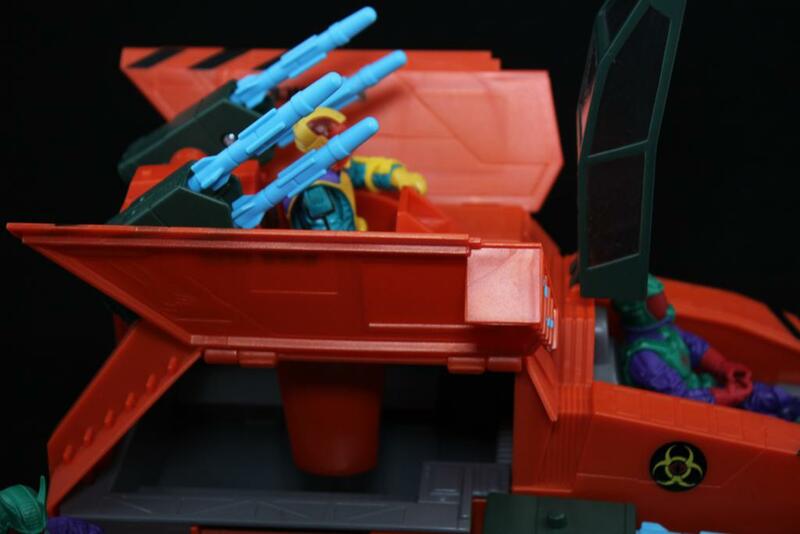 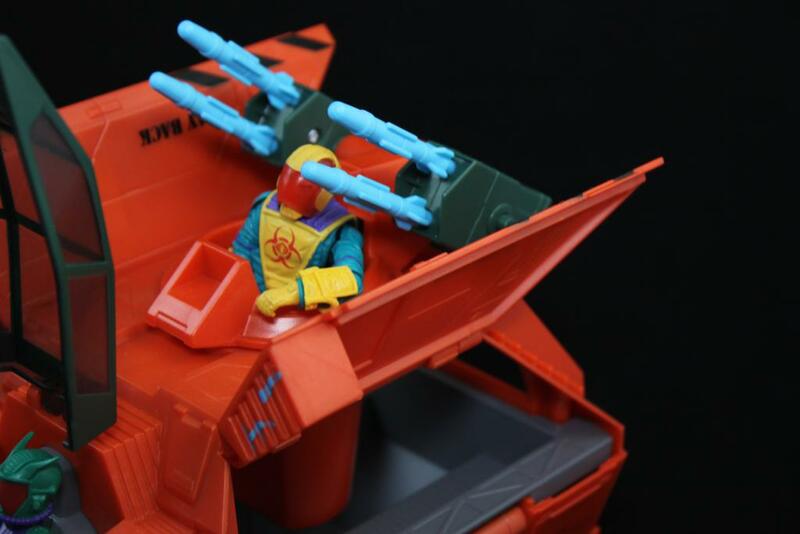 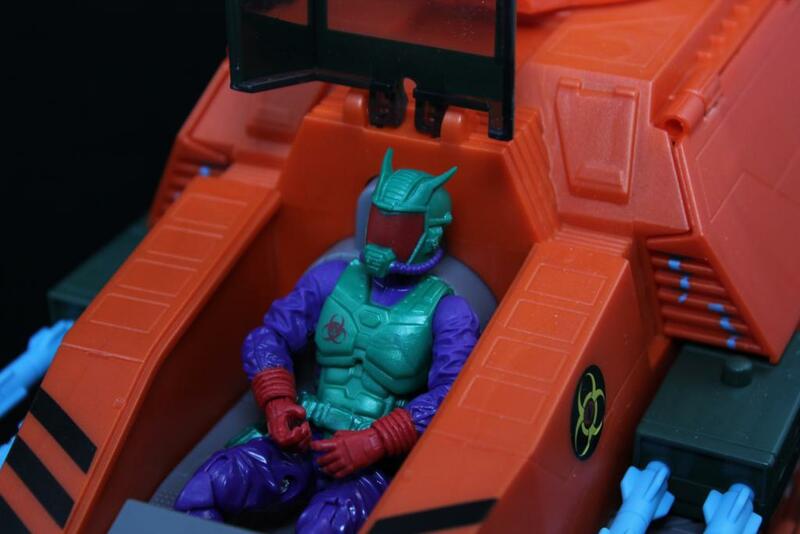 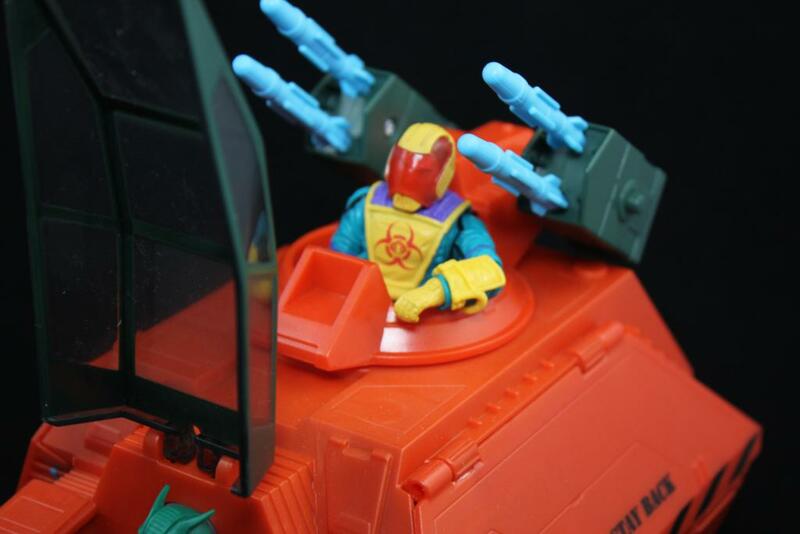 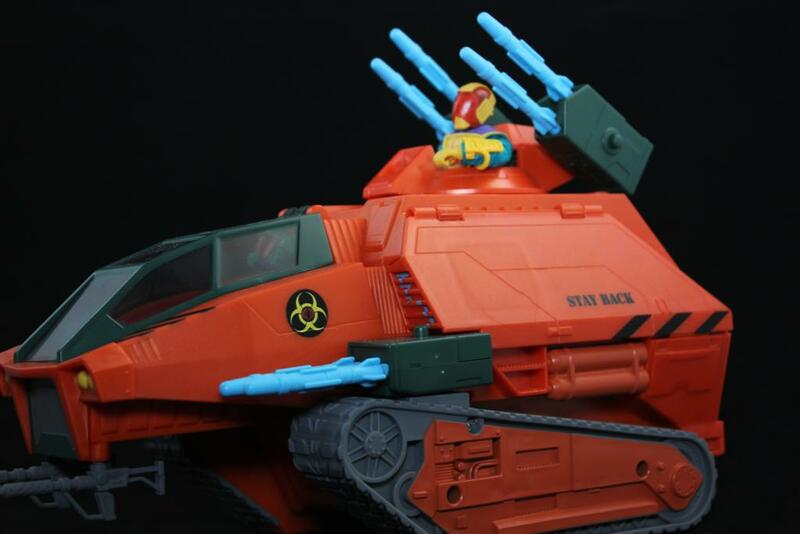 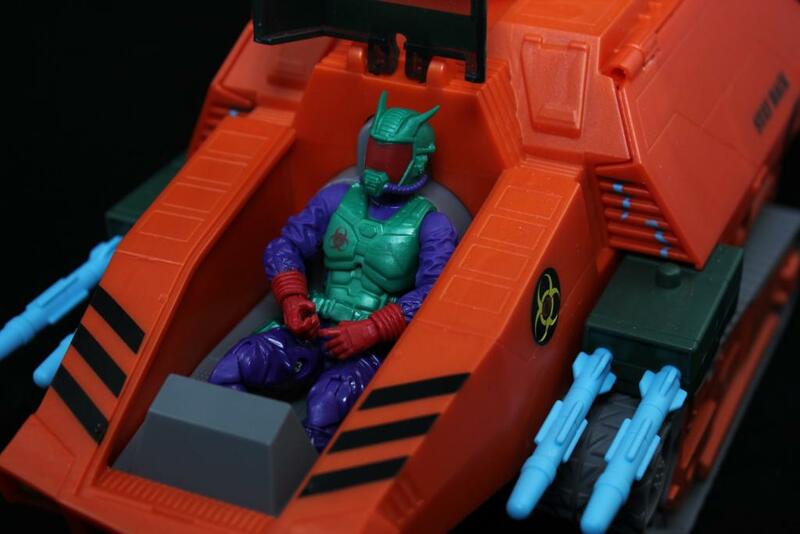 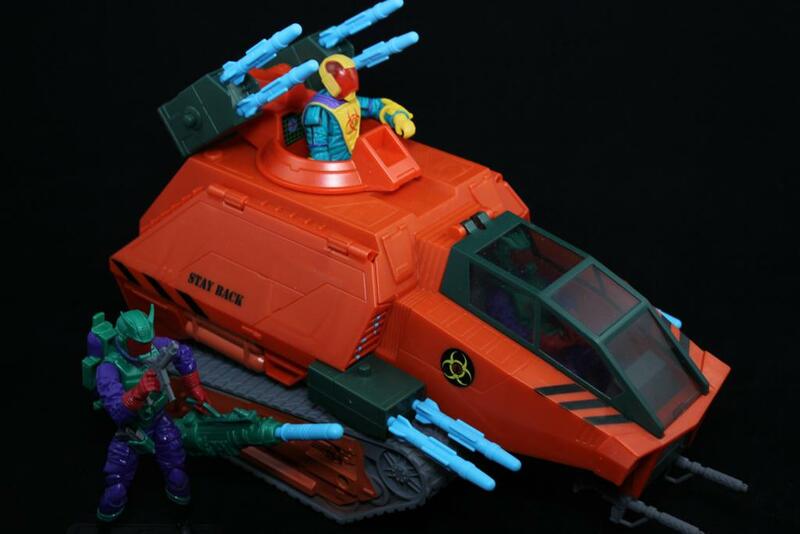 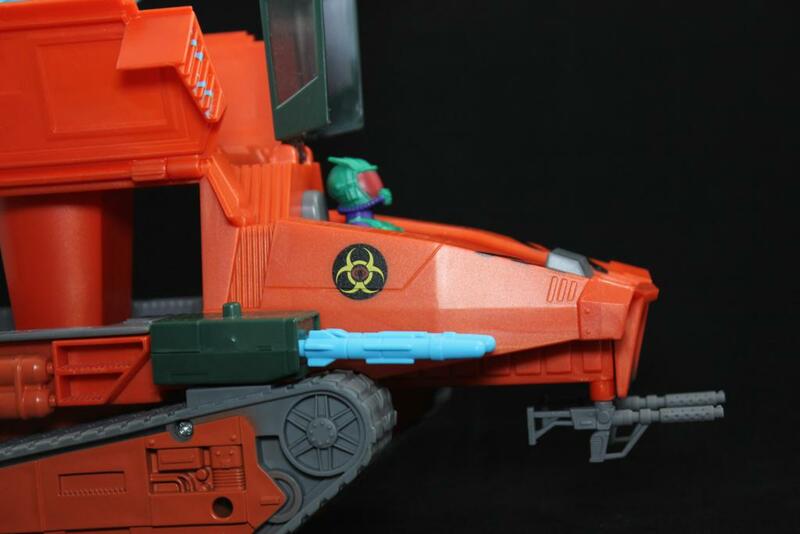 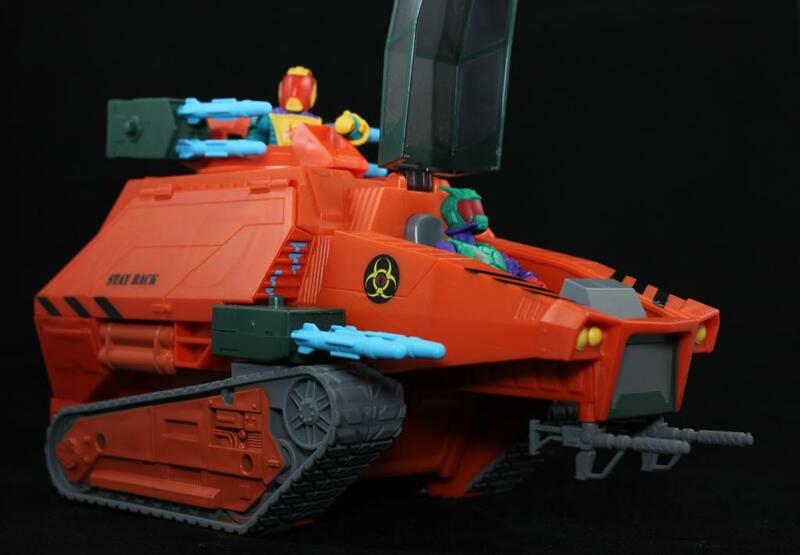 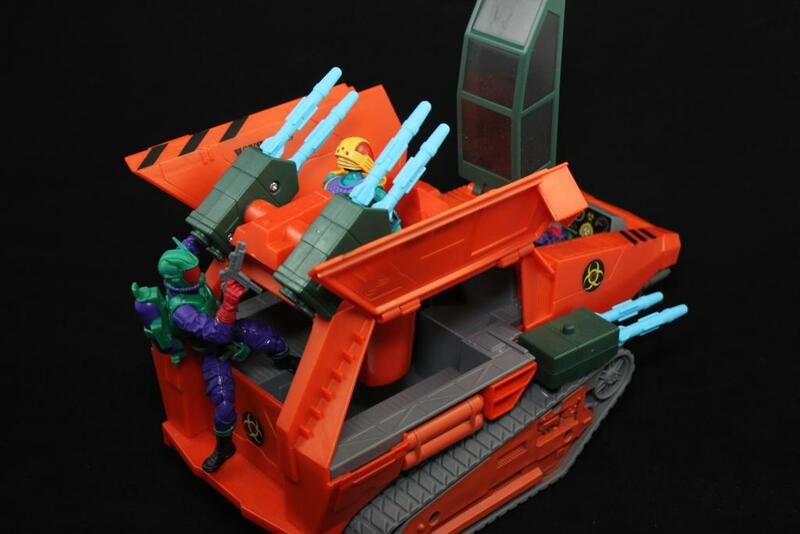 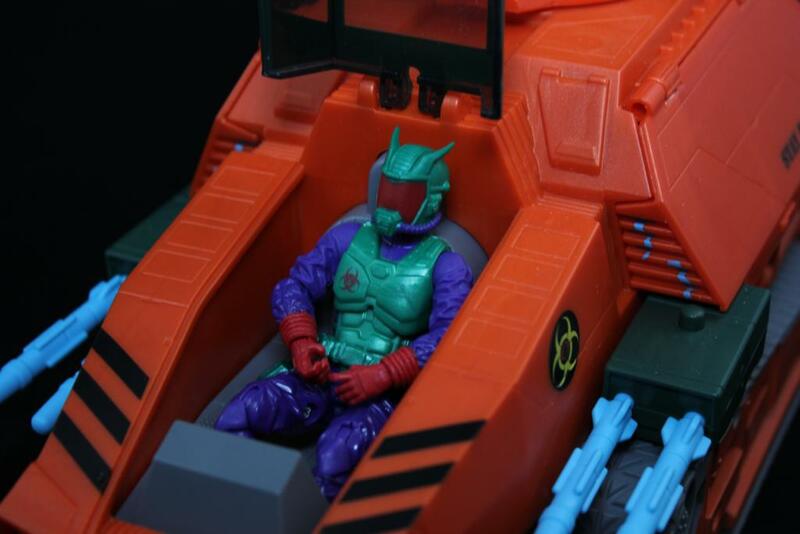 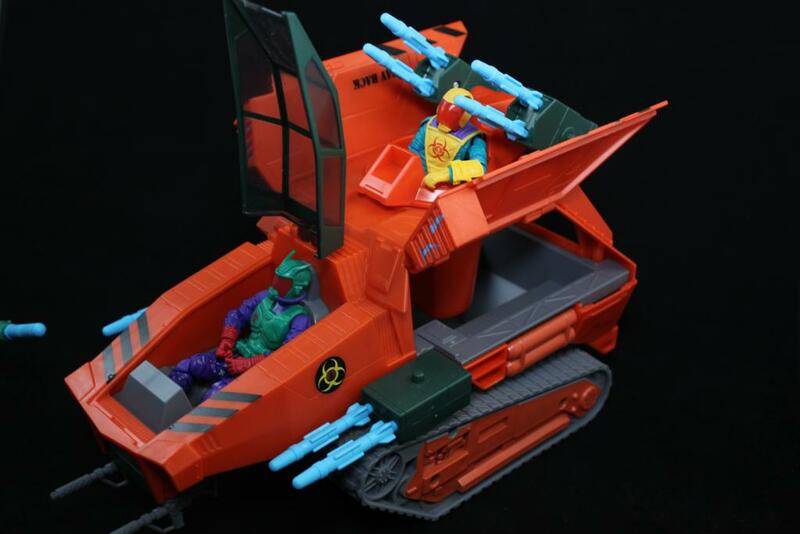 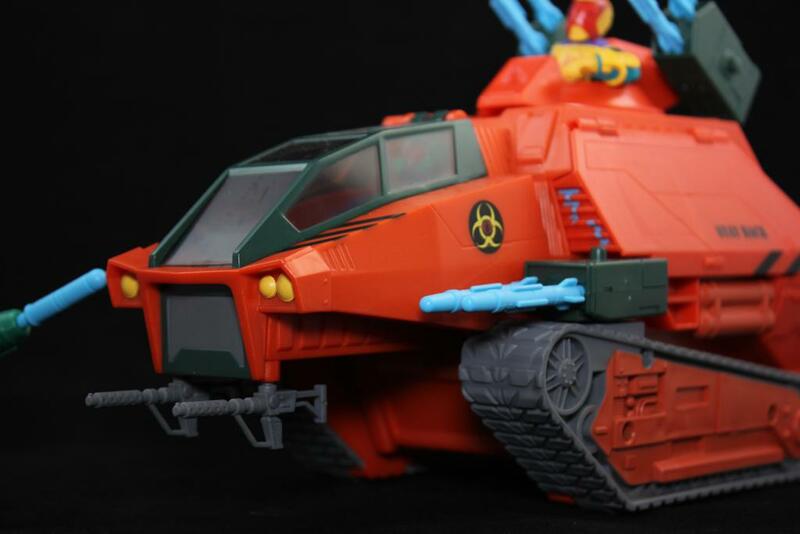 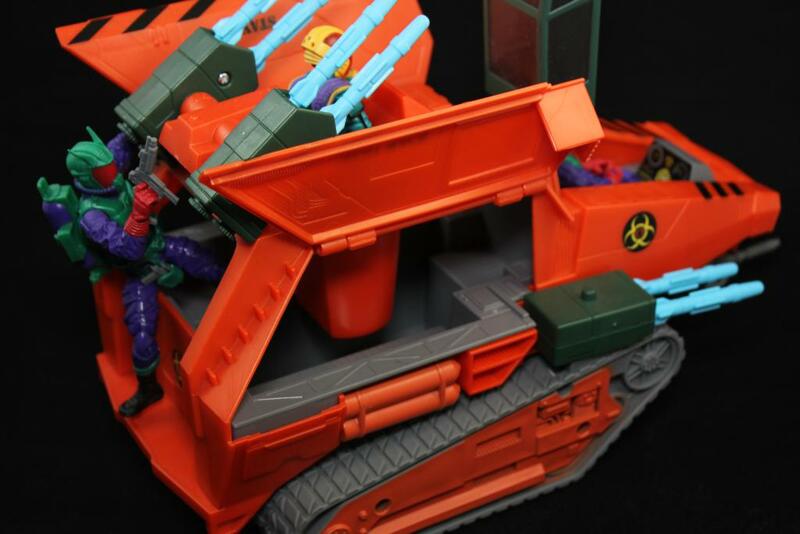 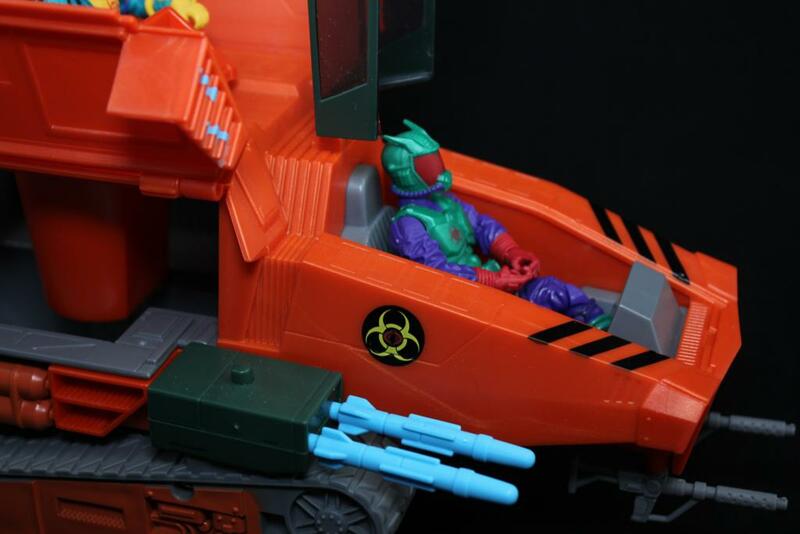 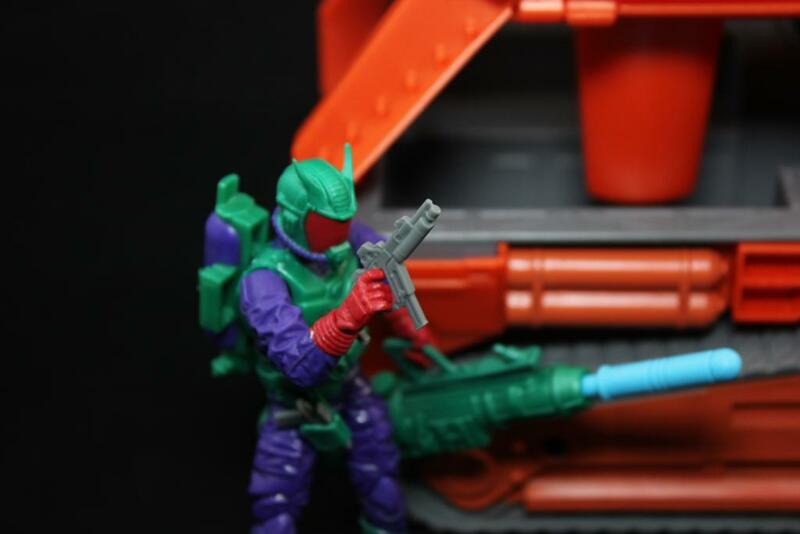 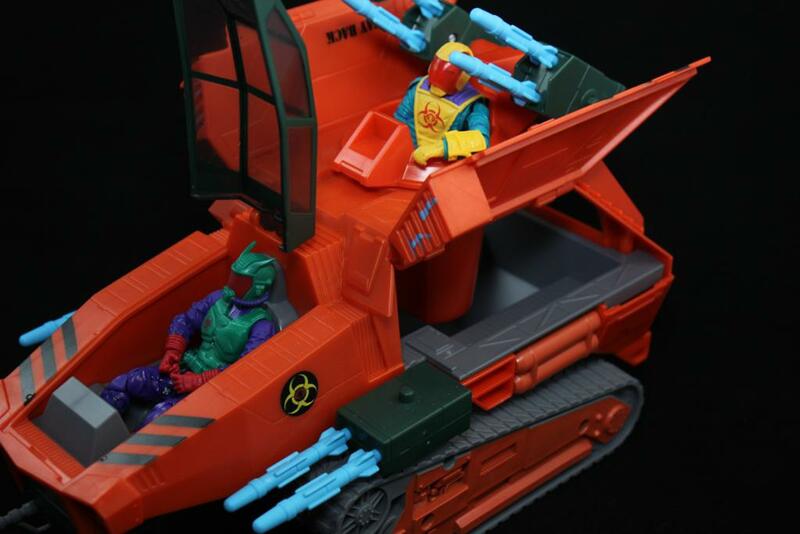 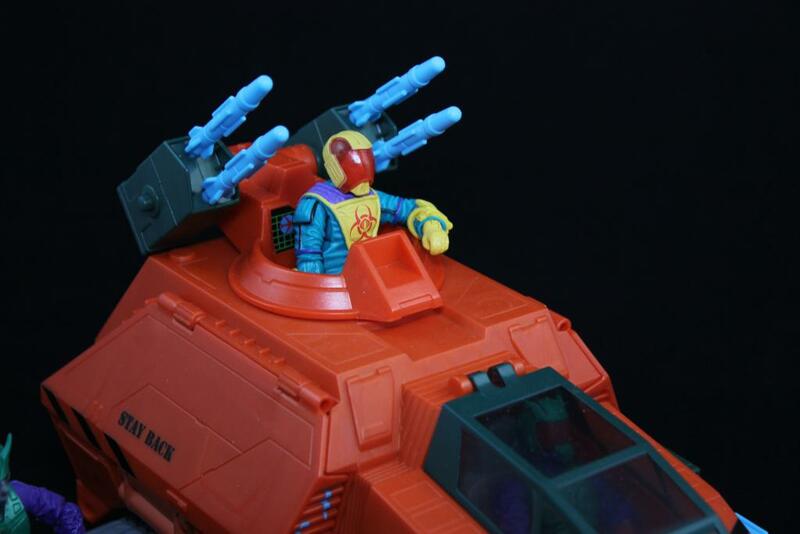 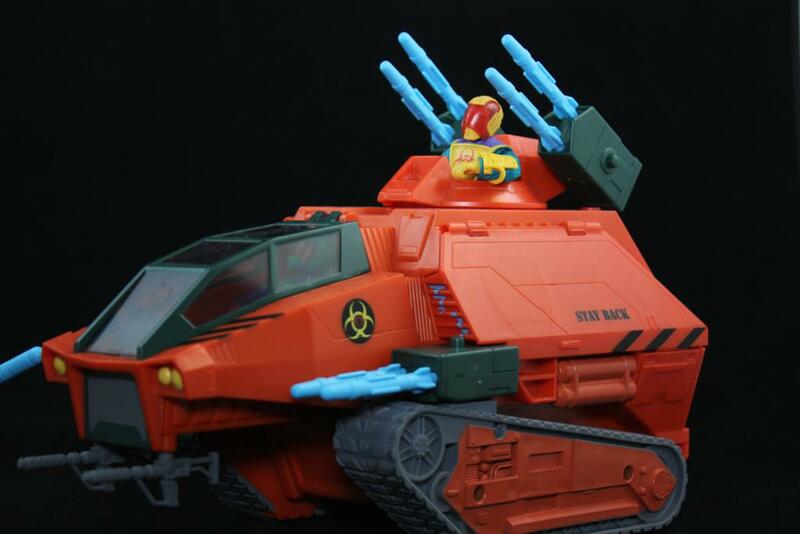 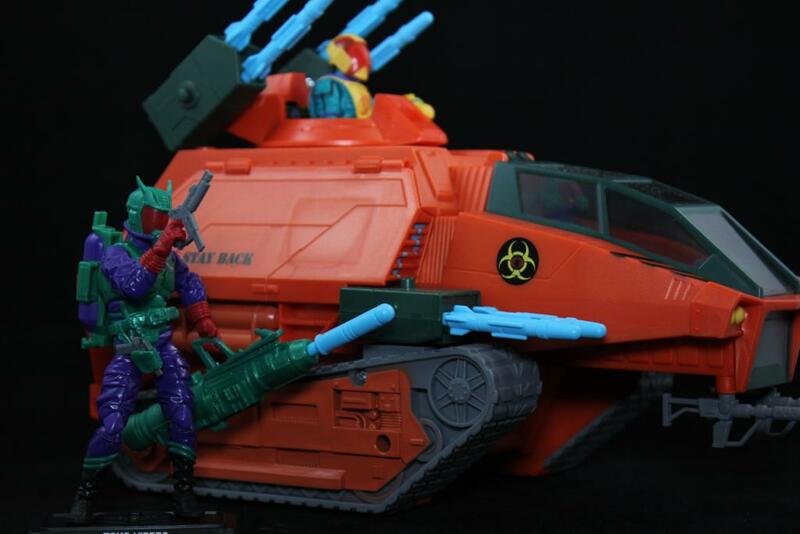 Joe Con Cobra Septic Tank MKII Gallery! 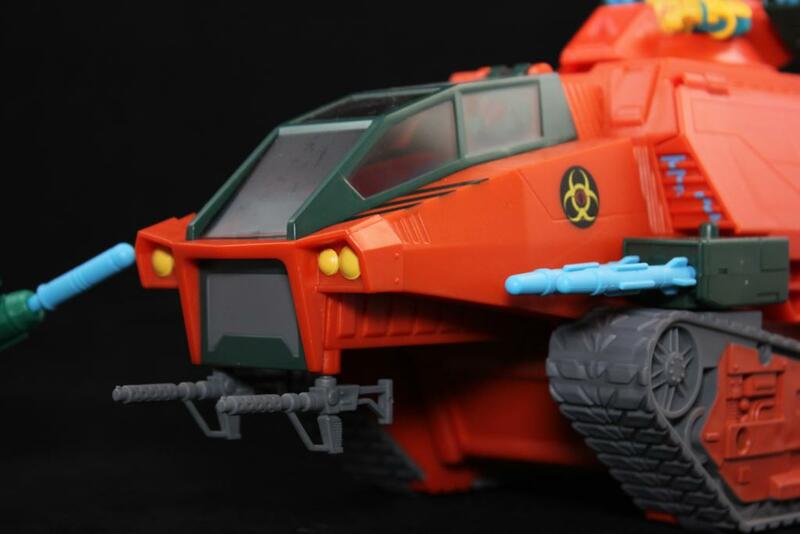 I was not going to buy this vehicle, I thought it was an abomination. 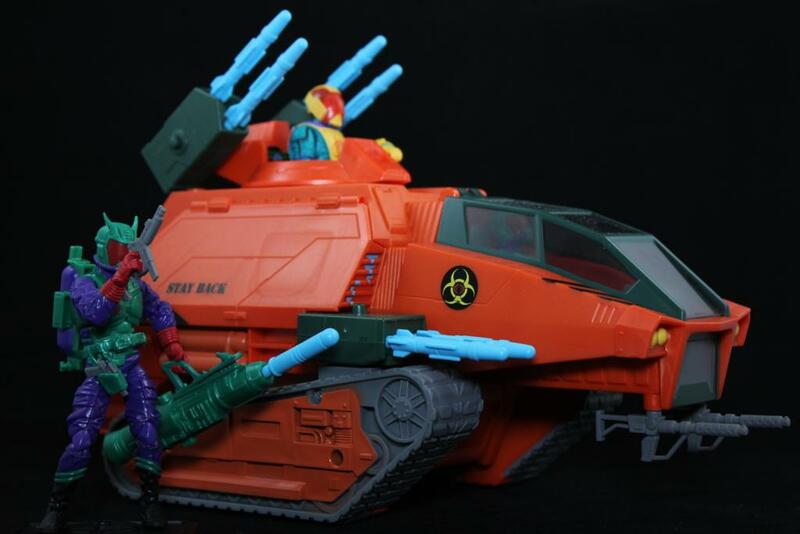 I was really hoping the Club was going to get the Retaliation Hiss Tank. 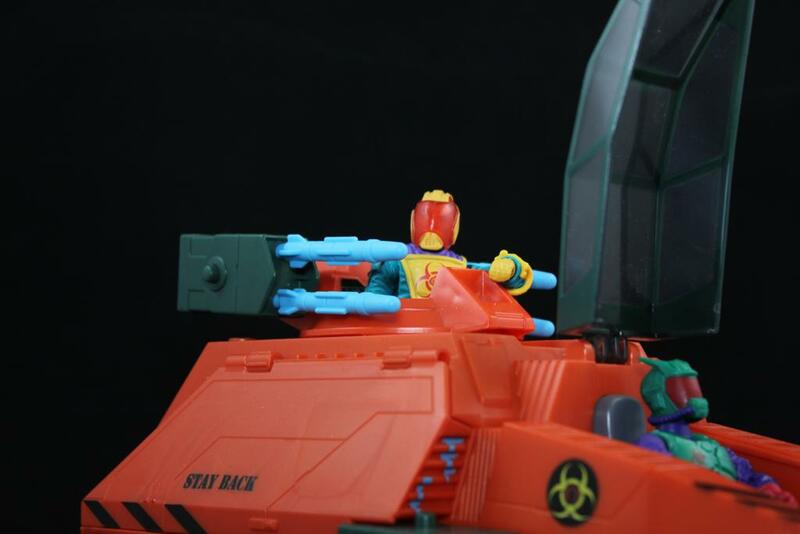 While I waited in line to buy my swag I kept looking over at the Club display case. 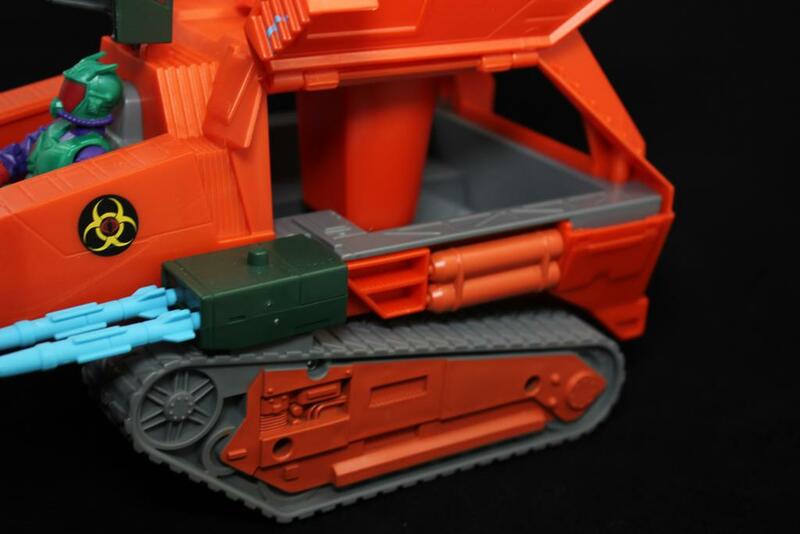 This was a mistake as I was starting to warm up to this tank. 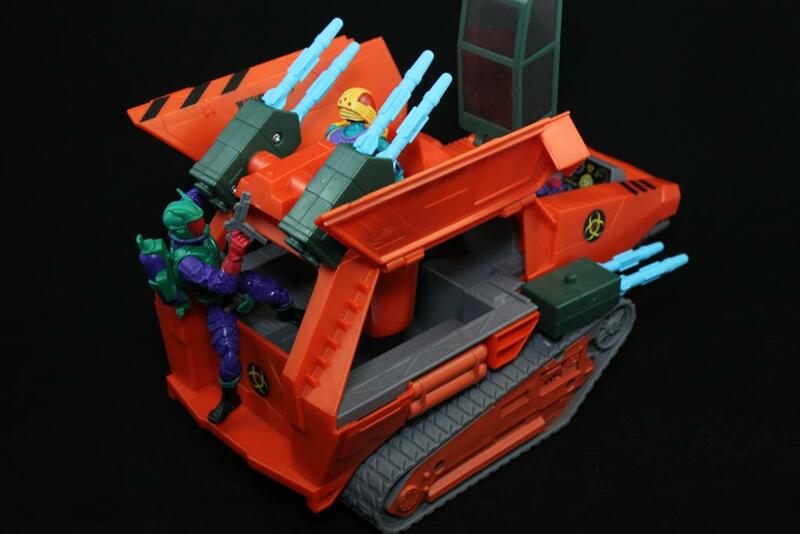 By the time I got in the Club store I knew what was going to transpire; I was walking out with the Cobra Septic Tank MKII. 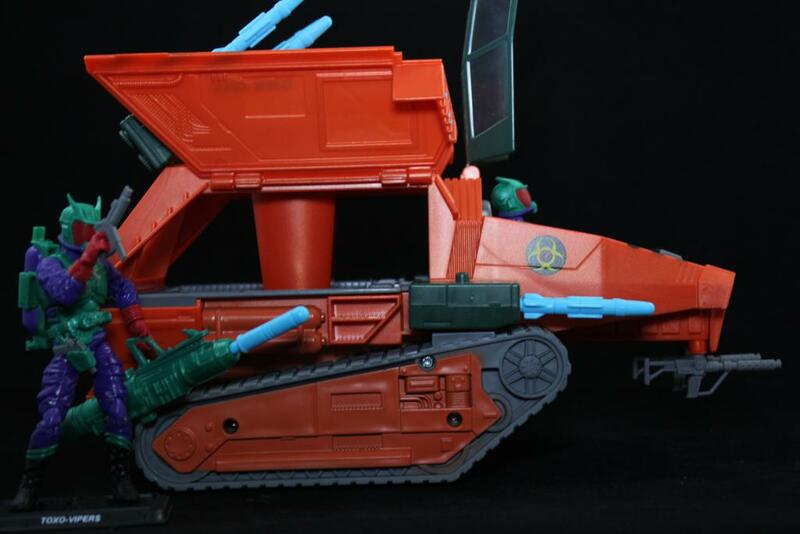 I know it’s not perfect but in the end this tank warmed my stone cold heart. 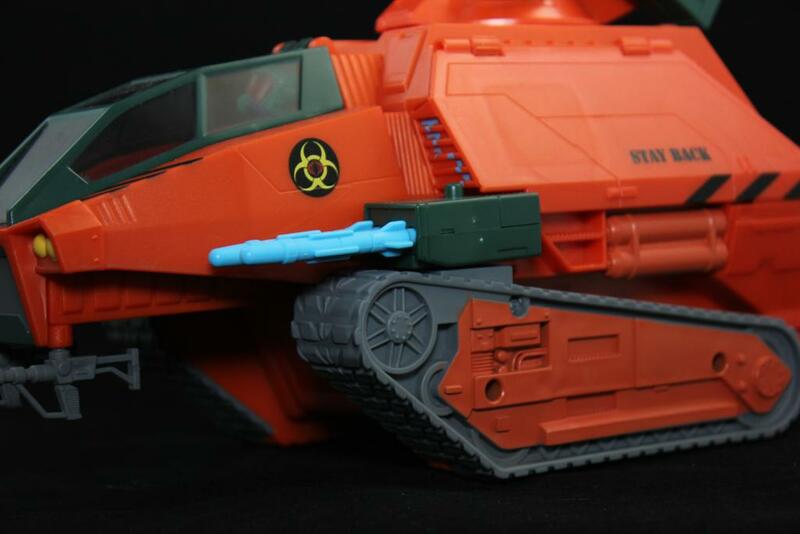 Check it out below and maybe, just maybe it will win you over as well. 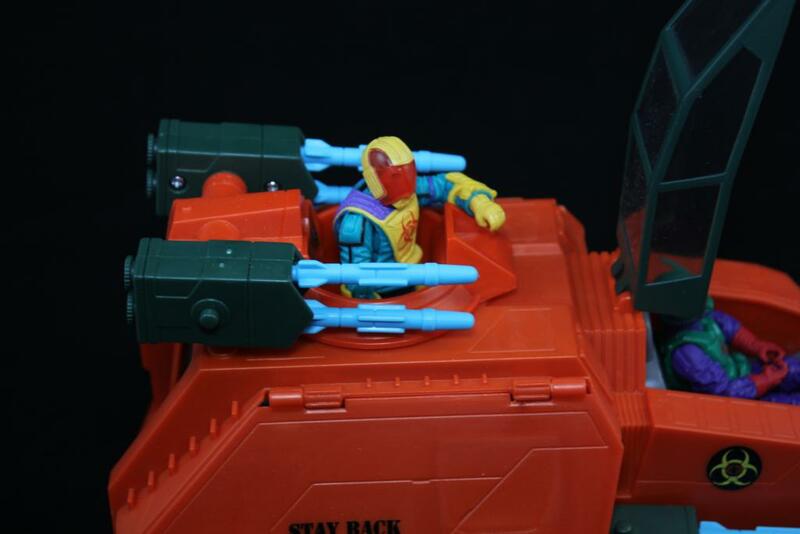 The deco is fitting for the theme and yes, this mold survived and hopefully we will get more from this mold. 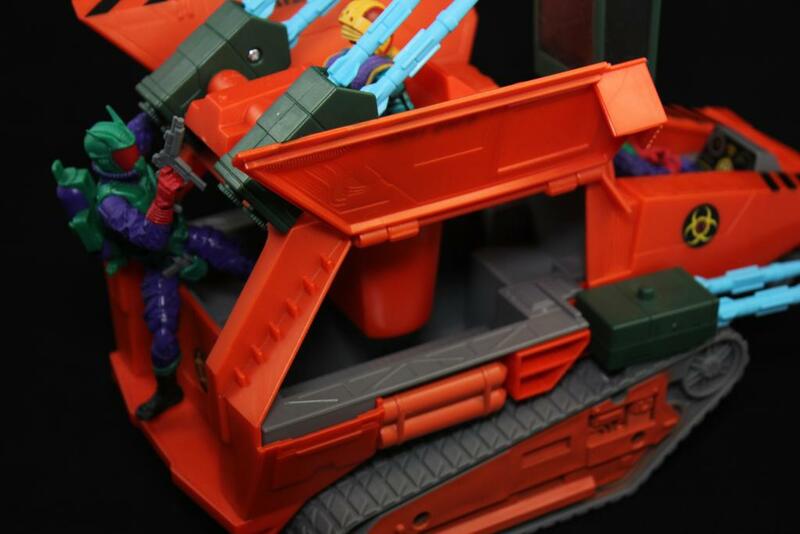 The only drawback is the figure pegs will not work with the modern figures. 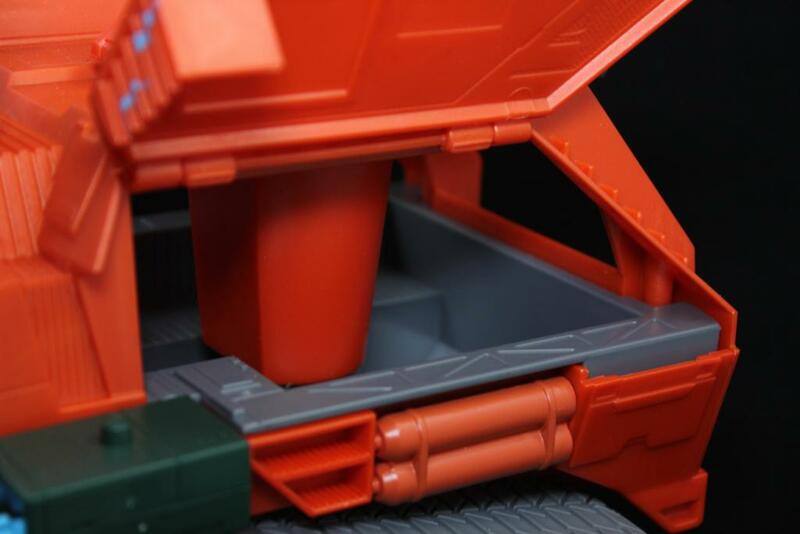 This is a small issue and I know it would have cost the Club dearly to fix it. 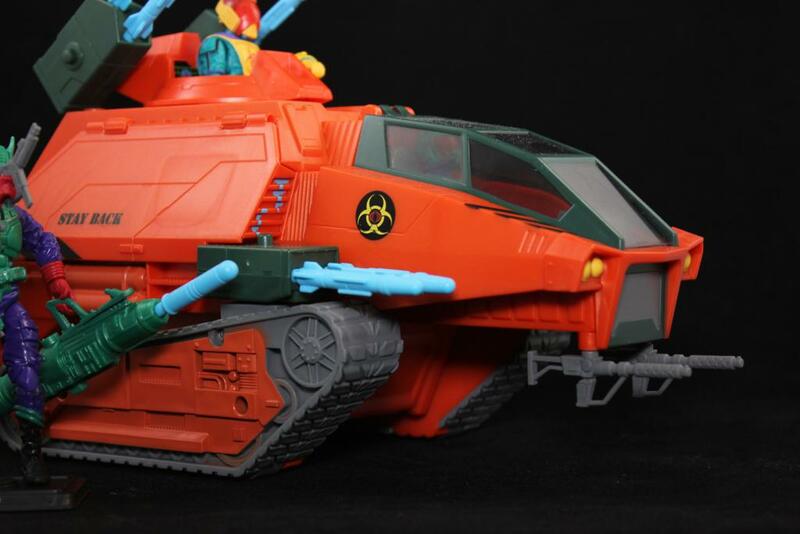 Still, this is a freaking awesome Hiss Tank! 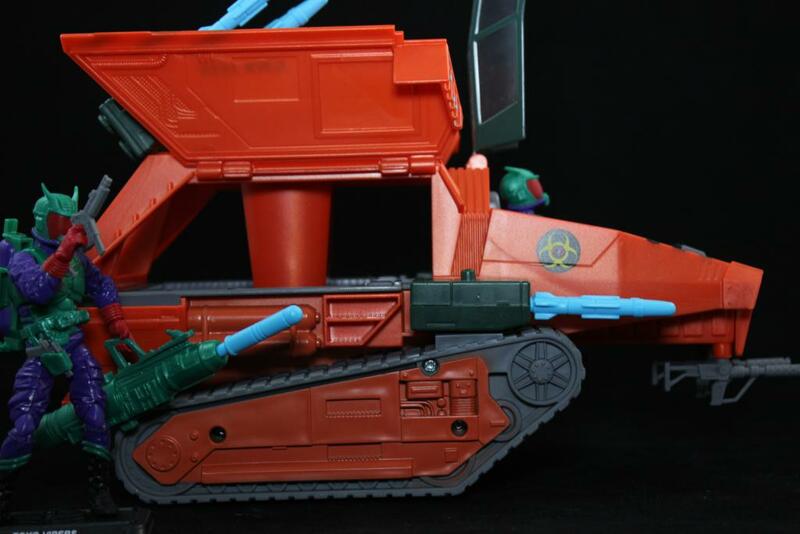 Note, the Hiss MKII did not include a figure.